So there I am in Brooklyn after just wrapping up a workshop I was attending. I just checked out of my hotel, glanced down at my watch, and realized I have just enough time to visit the Ellis Island Immigration Museum before catching my flight at LaGuardia that afternoon. The only problem… what to do with my bags before my flight? My guess is that you've been there before too. You just need somewhere to leave your bags either before you check into your hotel or after you've checked out and there doesn't seem to be any options. Or are there? Why Drop Your Bags Somewhere? Dropping off your bag isn't just about lightening your load, there are actually several reasons why dragging your luggage around the city and into your next meeting could in fact be detrimental. Whether you like it or not, walking into a meeting lugging several bags doesn't send the best message to those around you. Here are just some of the ways it's making you look bad. Of course even if you're done with the meeting, there are still plenty of good reasons to ditch the bag for a few hours before you flight. Where to Drop Your Bags for the Day? This is by far my favorite, most practical and easiest option especially if you want to save time. While most people think you can only check your bag at the hotel where you're staying, this just isn't the case. Most hotels are fine checking anyone's bags for a few hours even if you aren't staying there. I've checked my bags for the afternoon at hotels around the world and it's been the perfect solution. I use Google maps to find the nearest hotel in the area where I'll be hanging out, find the bellman or concierge and politely ask them to check my bag. I then always tip them $2 per bag both when dropping off and picking up. This is especially true if you aren't staying at the hotel. I have done this dozens of time and have only had one hotel not allow me to check a bag if I wasn't staying there. And I just simply thanked them and found another hotel. If you're headed into a sales meeting, you may want to check your bag with the front receptionist. While this isn't the best option, it is definitely better than dragging several bags bag into someone's office or plopping it down in a conference room corner. The best way to do this is simply ask the receptionist at the front if there is somewhere you could park your luggage for a bit during your meeting. If they look confused, ask if they wouldn't mind if you set your bags in the copy room. I definitely would not tip in this case as it might come off as insulting or worse as a bribe. So just a kind request and thank you will be much better in this situation. There's also a host of other city specific options to drop your bags but they vary greatly depending on which city you're in so they're not as practical. But if you find yourself regularly visiting one of these cities these vendors might work well for you. Sometimes this is your only option. You might be pressed for time or there just aren't any hotels nearby so you'll just have to carry your luggage with you. So it's vital that you follow one of the essential Jetset Genius principles… Travel as Light as Possible and with only ONE carry-on bag! Walking into a meeting with a light bag over your shoulder is one thing, dragging three huge suitcases in is another. Even site-seeing with an over the shoulder bag is very doable if you pack the right way. So pack lighter to begin with and this will be much less of an issue. No matter which option works best for you, it's time to ditch the luggage for the day, have a rock star meeting and enjoy that museum luggage free! Want to start packing better? 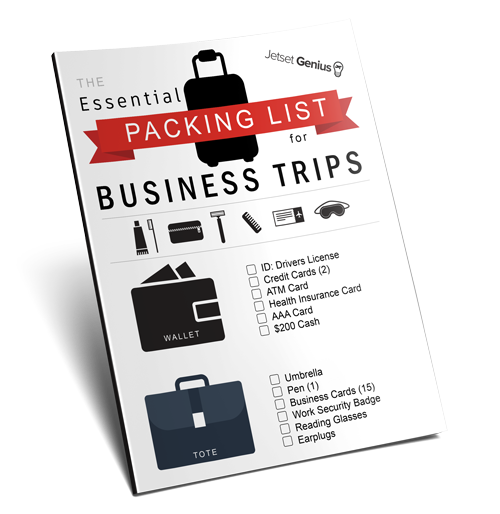 Get your FREE copy of the ESSENTIAL PACKING LIST for BUSINESS TRIPS! The absolute best resource to get you started on your way to better travel. WANT MORE? 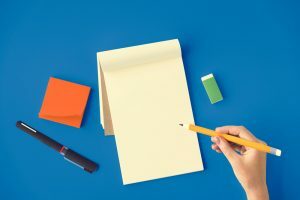 Check out these Popular Posts! Hotel Curtains won’t Stay Shut? Want more expert travel tips? Ready to get super focused on your next flight? Here my list of 20 songs I use to boost productivity when I fly! Enjoy! Download the FREE Bag Buying Guide that will take you through everything you need to pick out the perfect bag! Get instant access to the BEST PACKING LIST for BUSINESS TRIPS... FREE! 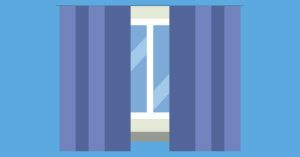 Get instant access to the Bed Bug Hotel Check... FREE! It's the Quickets way to ensure there aren't any Bed Bugs in your hotel room! Get instant access to the PERFECT PRECHECK BUYERS GUIDE... FREE! It's the FASTEST way through Airport Security!